Ben Chifley became Australia's 16th prime minister after being elected leader of the Australian Labor Party, following the death of John Curtin earlier in July 1945. 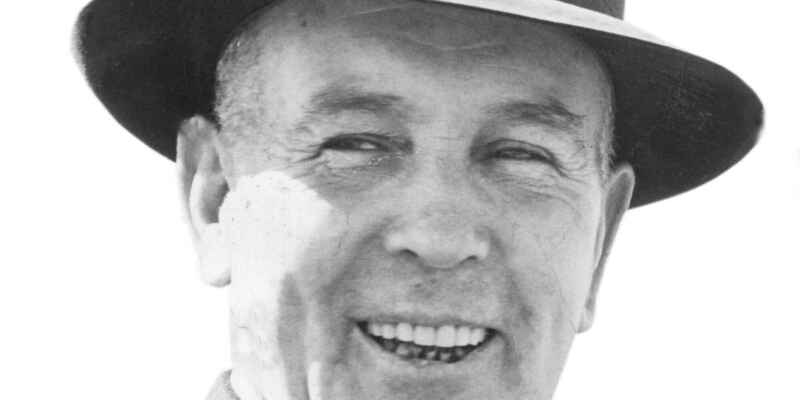 Ben Chifley provided Australia with a reassuring figure in the immediate post-war reconstruction period. He had an unvarnished charm that allowed him to connect with ordinary people and world leaders alike. Herbert Coombs, his chief economic adviser, referred to Chifley’s homespun advice as ‘Chifforisms’. At an early age Chifley went to work as a labourer in primitive conditions on his grandfather’s farm and received only limited education. He joined the New South Wales Railways becoming the youngest engine driver in the state. Chifley was active in his union, leading him to stand for the seat of Macquarie in 1925. He was unsuccessful, but stood again in 1928 and won. With the election of the Scullin Labor government he became Minister for Defence. Chifley lost his seat in the 1931 landslide loss that swept Scullin from office and he did not regain Macquarie until 1940. Chifley was a capable administrator and planner who aimed to secure economic stability, full employment and social justice for his fellow Australians. Chifley lost the election in 1949 after misreading the mood of the electorate in relation to issues such as petrol rationing and bank nationalisation. He stayed on as opposition leader and contested the 1951 election, which Labor lost. On 15 June 1951 he suffered a fatal heart attack. Chifley, along with John Curtin, remains a Labor Party hero for his embodiment of traditional party values. The Commonwealth and State Housing Agreement Act passed on 11 October 1945 provides for the subsidisation of house construction through the delivery of Commonwealth funding to match State grants. Sir William McKell takes office on 11 March 1947 after being appointed as only the second Australian born Governor General after Sir Isaac Isaacs. Australia signs an agreement with the United Nations Refugee Agency on 21 July 1947 which paves the way for displaced persons from war-ravaged Europe to be accepted into Australia. This marks the beginning of Australia's extensive post-war immigration program. Australian Minister for External Affairs Dr Herbert Vere Evatt is elected as the inaugural President of the United Nations General Assembly on 21 September 1948. 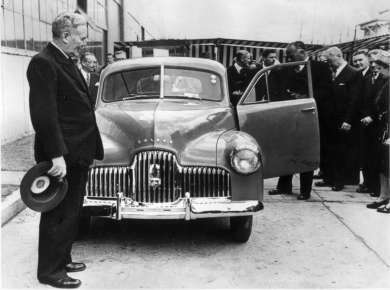 The first mass-produced family car the F J Holden rolls off the assembly line on 29 November 1948. Ten years later 500000 Holden cars have been manufactured. The Australian Security Intelligence Organisation is formed on 16 March 1949, during the increased tension of the Cold War, to protect Australia against acts of espionage, sabotage and foreign interference. Construction of the Snowy Mountains Hydro-Electric Scheme begins on 17 October 1949. It diverts water from a number of Australia's major river systems to provide irrigation and minimise the impact of droughts. Chifley won the 1946 election with a comfortable majority in the House of Representatives and a landslide in the Senate. This favourable parliamentary situation allowed him virtually free reign to continue, as prime minister, the reformist economic and social legislative program that he had begun as treasurer in the Curtin government. The vast numbers of returned servicemen were provided with access to preferential employment where available and, if not, to vocational training and tailored unemployment benefits. The Australian National University was established, followed by a university scholarships scheme. The Hospital Benefits Act was extended to provide the States with subsidies to provide free public ward treatment. The Commonwealth Employment Service was created and an ambitious immigration program commenced. This provided workers for what was to become Australia’s largest construction project in the Snowy Mountains Hydro-Electric Scheme. The setbacks to Chifley’s legislative agenda mainly came from outside the Parliament, in the form of the High Court challenges to the banking controls and pharmaceutical benefits scheme proposals. Chifley’s calm temperament and easy-going informality promoted strong party loyalty and solidarity during his period in office. He was a perceptive and empathetic leader and this, combined with his deep understanding of Labor Party tradition, produced an environment in both Cabinet and caucus where views could be expressed openly without fear of retribution. His biographer L.F. Crisp states, ‘Chifley was one of the most maturely adult of men, in whom petty jealousies, suspicions or spites had no place.’ This was evident in the way he secured party support for the Bretton Woods Agreement in 1947, quelling long-held concerns regarding international financial institutions. Many in the party had worked closely with Chifley for years, including throughout the turbulent period of the war. Chifley’s standing in the party may have been part of the reason that some of his most controversial political decisions, relating to bank nationalisation and the use of the army to break the Newcastle coal mine strike, were not questioned or modified. 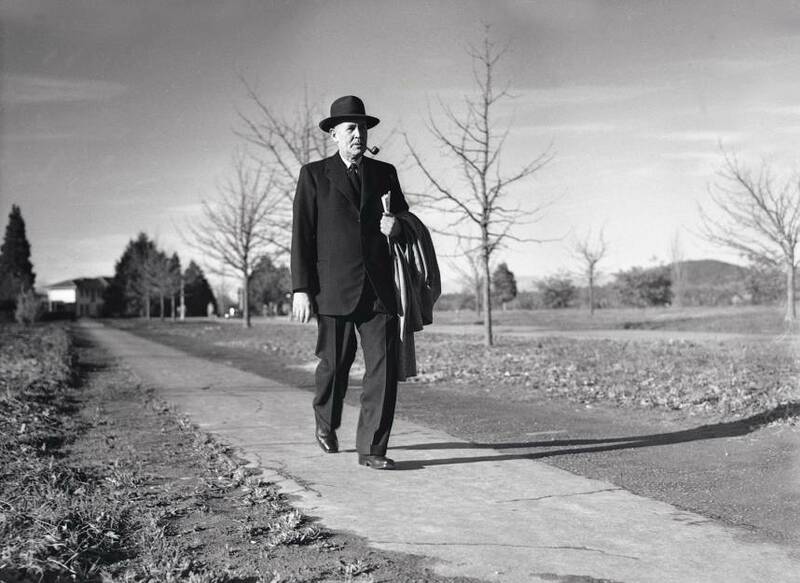 Chifley revealed to the press that he 'has one weakness – and that is for brass bands.’ In February 1947 he allocated the sum of 500 pounds to establish a Canberra brass band. An advertisement was placed in The Sydney Morning Herald for a bandmaster offering a weekly salary of 12 pounds, 10 shillings. In June 1947 William Hoffman from the Adelaide Conservatorium was appointed to revive the Canberra City Band. It was the intention that the band, often referred to as ‘Mr Chifley’s Baby’, would become one of the few full military bands in Australia. On another occasion, in February 1948, Chifley became aware of a stranded RAAF band. They had played for the Governor-General and, when unable to secure transport home, Chifley requested they play on the lawns outside Parliament House. The press reported that Chifley was working on an upcoming economic statement when the band decided to play the tune Have a Little Pity. It was an appropriate tribute that the music played at Chifley’s funeral was by the Bathurst District Band. Chifley announced the Second World War was over on 15 August 1945, following the Japanese surrender. The expectations of military personnel were for a swift return to Australia but, with over 250000 servicemen spread throughout islands to the north of Australia, demobilisation was never going to be simple. Chifley received correspondence from distressed relatives, and soldiers, pleading for a prompt return home. Concern was heightened with the approach of Christmas, resulting in up to 1500 soldiers marching in protest against the delay at Morotai. In response Chifley decided to make a surprise visit to the troops and arrived in New Guinea on Christmas Day. Chifley told journalists he wanted the visit to remain a secret ‘so the men would not feel obliged to carry out spit and polish work’ for any official reception. He had Christmas dinner in the mess and shared his beer, cigarettes, figs and nuts with the men. Chifley visited nurses at hospital wards and watched a movie with the troops as a volcano flared in the background. On a single day in Bougainville he addressed over 10000 men and visited 11 different units. He listened to numerous individual stories and promised to resolve the issue of men being able to purchase surplus stores. I have had the privilege of leading the Labour Party. It is a mankilling job and would be impossible if it were not for the help of my colleagues.